Access to 37 Annual Reviews volumes within the biomedical, life, physical, and social sciences. From its inception in 1932 to the current year. 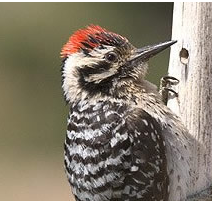 From the Cornell Lab of Ornithology, BNA Online provides life histories for each of the 716+ species of birds breeding in the USA (including Hawaii) and Canada along with image and video galleries showing plumages, behaviors, habitat, nests and eggs, and recordings of songs and calls. An interdisciplinary journal providing a definitive source of research methods in cell, developmental and molecular biology, genetics, bioinformatics, protein science, computational biology, immunology, neuroscience and imaging. Articles in clinical and laboratory research relevant to reproductive endocrinology, urology, andrology, physiology, immunology, genetics, contraception, and menopause. Four hundred years (1665-2007) of published journals of science history and research in the sciences including aquatic science, botany, developmental & cell biology, ecology, paleontology, zoology, medicine, nursing, epidemiology, and public health. Over 2,000 journals and 53,000 ebooks in the fields of science, technology, and medicine. Visit our New & Trial Resources page to find these and other newly added items. This entry was posted in LIS Staff Interest and tagged ebooks, journals, library collections, Library Spotlight, sciences on July 12, 2012 by Rebekah Irwin. The Middlebury College community has expanded its journal coverage in JSTOR, (“JAY-store” short for journal storage). We have 502 more titles than we had a couple of weeks ago ranging across the humanities, social sciences, and sciences. Most of JSTOR’s journal content is “archival” (published more than 3-5 years ago and dating back to the early 20th century). In order to expand our current journal holdings in addition to our archival holdings, we’ve expanded our access to current journals. (See JSTOR – not just for archives anymore for some background.) We now have access to the most recent issues of 226 journals, largely from university presses and scholarly societies. As well, we are now able to offer Middlebury alumni from the College, Bread Loaf, and Language School programs access to all our JSTOR collections* through Middlebury Online, the alumni community website. Alumni can access JSTOR here. *At this time, only JSTOR’s archival collections are available off-campus to alumni. This entry was posted in LIS Staff Interest, Middlebury Community Interest and tagged databases, journals, library collections, Library Spotlight on June 25, 2012 by Arabella Holzapfel. How do institutions learn about emerging trends in assessment? What pressing questions do all institutions face when it comes to assessing the quality and effectiveness of student learning? What are the best practices in promoting institutional effectiveness in the educational enterprise? This entry was posted in LIS Staff Interest, Middlebury Community Interest and tagged electronic collections, electronic resources, journals, library collections, Library Spotlight on March 8, 2012 by Arabella Holzapfel. Nature Geoscience is now available to the Middlebury College community. Some of the topics covered in the journal include: Atmospheric science, Climate science, Geoinformatics and remote sensing, Geomorphology, Glaciology, Hydrology and limnology, Mineralogy and mineral physics, Oceanography, Palaeoclimatology, Planetary science, Seismology, Space physics, Tectonics, and Volcanology. 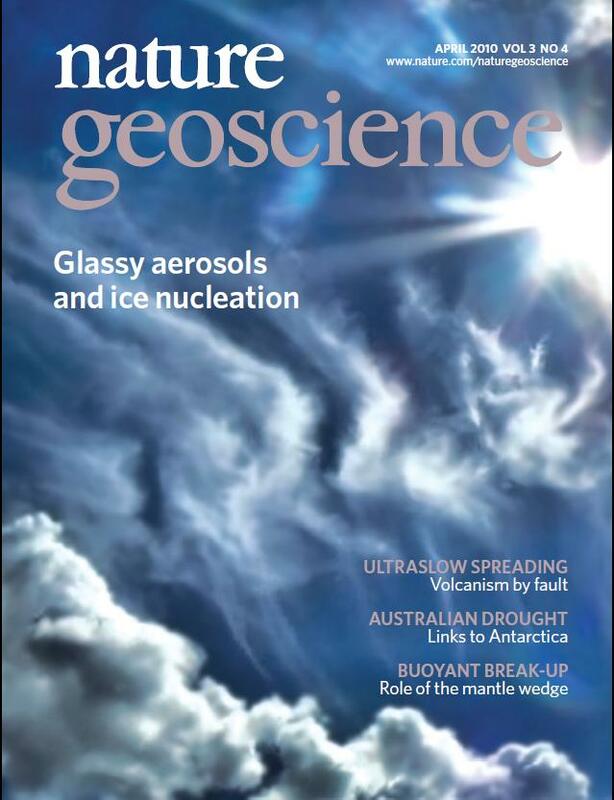 Geoscience is best accessed through the journal’s website, where you can sign up for email alerts and view tables of contents from recent issues. Its contents are easy to search in GeoRef, the major research database for the geosciences. Geoscience will also be available through MIDCAT, the Journals A-Z list, and Summon*. *At this time, full-text indexing of Geoscience is not available through Summon. This entry was posted in LIS Staff Interest and tagged electronic collections, geology, geoscience, journals, library collectionss, Library Spotlight, new collections on February 2, 2012 by Rebekah Irwin. Emphasis is placed on articles concerned with cognitive and perceptual processes, models of psychological processing, including neural network and dynamical systems models, and relations between psychological theories and accounts of neural underpinnnings or environmental context. 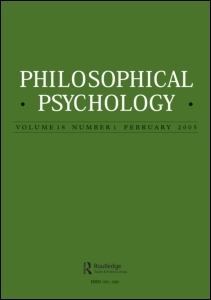 The journal also publishes theoretical articles concerned with the nature and history of psychology, the philosophy of science as applied to psychology, and explorations of the underlying issues — theoretical and ethical — in contemporary educational, clinical, occupational and health psychology. Philosophical Psychology is fully indexed through 2000 via Summon (go/Summon) and also available through Proquest Psychology (1997-2000). The most recent issues are available directly through Taylor & Francis, the publisher of Philosophical Psychology (1997- current). This entry was posted in LIS Staff Interest and tagged electronic collections, journals, library collections, Library Spotlight, new collections, Serials on January 19, 2012 by Rebekah Irwin. This entry was posted in LIS Staff Interest, Middlebury Community Interest, Post for MiddPoints and tagged electronic collections, electronic resources, journals, library collections, Library Spotlight on January 4, 2012 by Arabella Holzapfel. MUSE will provide a one-month preview period during January 2012 to allow librarians and scholars to discover the significant breadth and depth of both book and journal content available on Project MUSE. At the end of the preview period, January 31, 2012, search results will default to only content to which the searcher has full-text access. At this point, users will have the option to toggle the search to show all available books and journals relevant to a search, if desired. This entry was posted in LIS Staff Interest and tagged ebooks, journals, Project MUSE, research advice on December 19, 2011 by Arabella Holzapfel. The Client Center will have a downtime from 8 p.m. Friday, Sep. 16, to 5 a.m. Saturday, Aug. 17. During most of this downtime, your 360 Link service will remain available to your patrons. However, 360 Link (as well as the E-Journal Portal and 360 Search) will be unavailable to your patrons for about 20 minutes some time between 8 p.m. and 10 p.m. During this downtime, any patrons trying to use 360 Link will see a message advising them of the downtime and inviting them to try again later. This entry was posted in LIS Staff Interest and tagged 360 link, downtime, journals, Summon on August 26, 2011 by Barbara Merz.